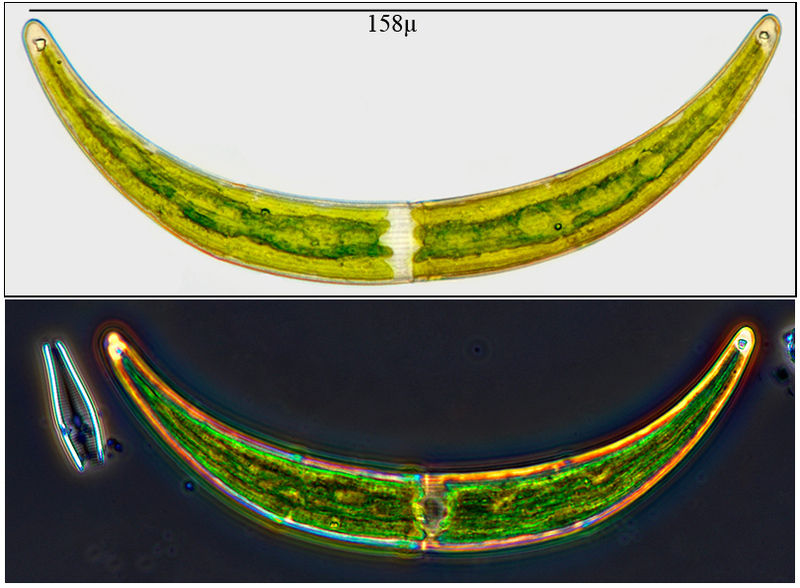 There appears to be a need to show what one can expect, with respect to imaging, from a microscope. Hoping members will post images and specify the setup used. Images can be good, bad, or downright ugly. The idea is to show what the system delivers. 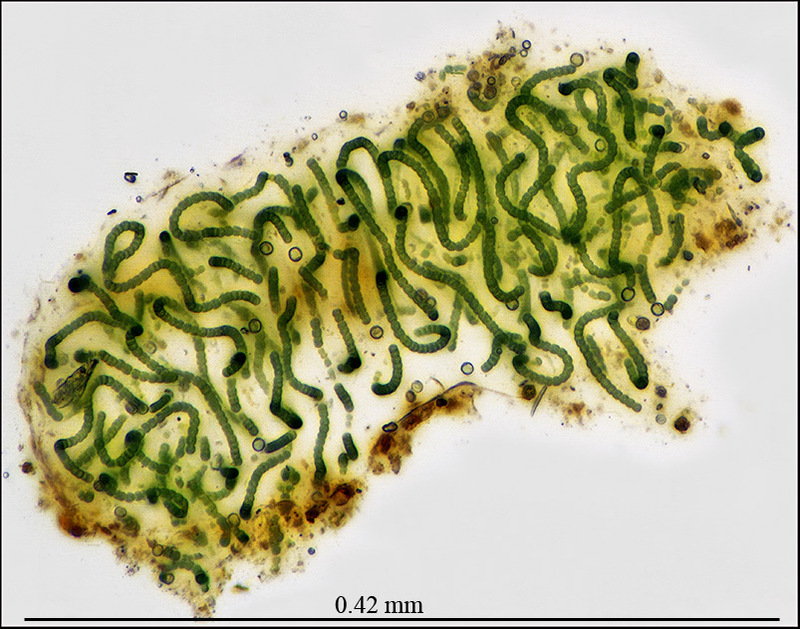 I encourage members to post images from the less expensive microscopes as some of the scopes are likey a viable alternative to the expensive, used, Nikon Labophots and Olympus BH2 series. We need images from all objective magnifications, usually 4x, 10x, 20x, 40x, (60x), 100x. Also images using transmitted and reflective illumination. 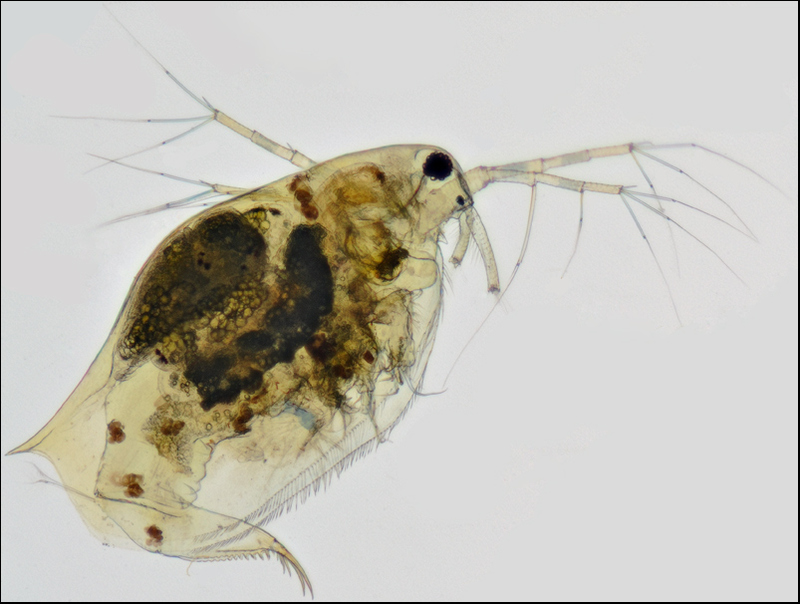 Water Flea, body length 1.36 mm, almost filled the 23.6 mm wide frame. Olympus BH2-BHS, 4x Oly D Plan objective, NFK 2.5x eyepiece; transmitted flash, no condenser. Nikon D90. Great idea for a thread. It might be an ongoing exercise for me though, as I still have equipment coming on the truck. First things first, the equipment. I use an Amscope Model T490B-30W-DK Compound Trinocular scope and a Tucsen 10 MP USB C-mount Microscope Camera. I have a second camera to scope adapter coming today and hopefully this will give me good images from my Canon 1D MkIII body. The scope gives me excellent images, the best I have ever seen personally. The scope was about $440 new, and is a second run from one of the big 4 manufacturers, which are made in China anyway. The glass is Achromatic, and I suspect Plan Achromatic lenses would give even better results. But I am not complaining now. But, what is the point of a hobbiest having a scope if you can't share what you see through it? And that's where my problem comes into the picture. I think this might be a widespread problem. The scopes have advanced so much in just a few decades, cameras have advanced right along with them. But the connection between the two was left on the back shelf. There needs to be a cost effective way to connect camera to scope, something standards based and not the hodge podge of rings, reducers, connectors and adapters for adapters we see now. So, I have a scope that shows my eyes beautiful renditions of anything I put on the stage. I own a professional grade camera that I know can take professional grade images, but with all the adapters I have to date, this is all I can get in the way of images. These were taken with the Tucsen camera in one of the binocular tubes, edited in CS3, and they are terrible, even to my eyes. Definitely not what I expected. Is this the camera, the software or the processing? The idea here, of course, is simply to show what each micrpscope/lens/camera combination produces. It's is not meant to be used as a critique for one's images but I guess if one want's to comment on the quality of one's own image that's OK.
You wrote "But the connection between the two was left on the back shelf. There needs to be a cost effective way to connect camera to scope, something standards based and not the hodge podge of rings, reducers, connectors and adapters for adapters we see now." This is not universally true. The trinocular Olympus BH2 series, and I believe the trinocular Nikon Optiphot, have the simplest fool proof SLR camera attachment. You just place the camera body over the trinocs eyepiece, no camera lens needed. I just have my D90 on an old tripod and actually rest the bellows on the trinoc. tube (these systems do need some extension such that the camera sensor is at a specified distance from the eyepiece (125mm for the BH2) but this is simple; even a toilet roll tube would work. Why some of the other manufacturers make this hookup so complex is beyond me. The idea here, of course, is simply to show what each micrpscope/lens/camera combination produces. Yes, that was why I included these images. This is what I am getting, but I don't know if this sad example is from the camera I use, the camera capture software or even my processing. 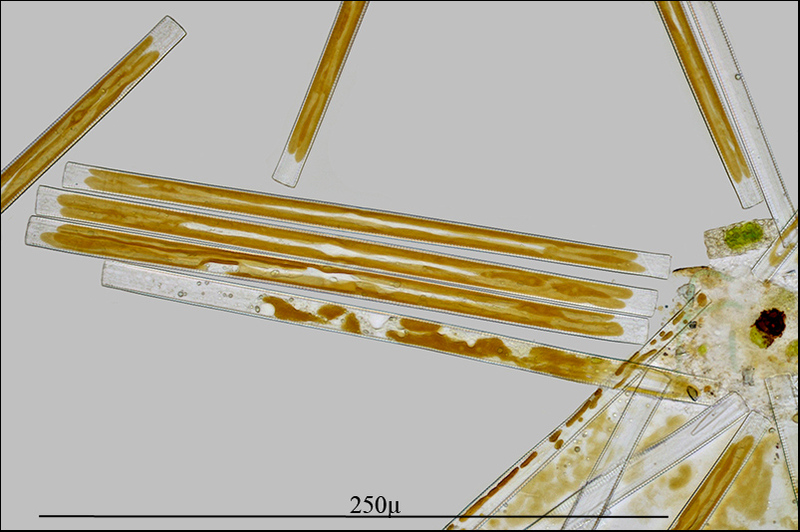 I think it's more hardware related, but the truth is, I have not seen any other examples that are so far off from what I am seeing in my microscope. On the bright side, my new, and hopefully, better adapter for the Canon hasn't gotten here yet today. I'm really hoping to see a vast improvement. The scopes have advanced so much in just a few decades, cameras have advanced right along with them. But the connection between the two was left on the back shelf. There needs to be a cost effective way to connect camera to scope, something standards based and not the hodge podge of rings, reducers, connectors and adapters for adapters we see now. If the connection had not been ignored, then at the very least every scope manufacturer would provide a line of adapters for DSLRs, each adapter consisting of a projection eyepiece with optics matched to that manufacturer's scopes and a mechanical mount matched to the camera. Designing such things does not seem difficult. But if they exist, I don't know where to buy them. One might also hope for adapters to work with non-DSLR cameras, but that is a much harder technical problem due to the huge variety of lens and mechanical designs presented by such cameras. I have great sympathy for manufacturers deciding to skip that market. This is what I am getting, but I don't know if this sad example is from the camera I use, the camera capture software or even my processing. 1. Eyes focus on what you're looking at, and if your eyes don't have enough accommodation, then your hand on the fine focus knob does. Camera focus is fixed, and if you adjust the condenser aperture for more DOF, the image loses resolution because of diffraction. 2. Hands work to keep what you're looking at in the center of the field where the image is best. With a captured image, eyes may have to roam to other areas that aren't so good. 3. Brains remember the best bits they ever saw, but cameras record everything as it was at the moment of exposure. This is particularly an issue with moving subjects. To help isolate and understand what's going on with your system, I suggest working with a completely static subject. Prepared slides, pollen, dust, and soot all work well. Take a picture and then without touching anything look back and forth between the scope and the captured image to analyze what is different. When I run this exercise with my own setups, I am often surprised to find that I can see the same details and defects both ways. I write "surprised" because direct view through the eyepieces always looks "So much better!". On careful analysis, I see that there's an obvious advantage with higher contrast in direct view, while most of the other apparent differences are due to the issues noted above. Interestingly, it seems to me that the contrast advantage must also be present in viewing a landscape or street scene direct versus photo, but somehow it doesn't affect me the same. Maybe this is a matter of familiarity, maybe something else is going on that I haven't thought of. I hope this helps. One of the most frustrating aspects of discussing this stuff on the Internet is that it doesn't work to say "Well, show us what you see direct view." You have to do the analysis yourself. Rik, it does help. It also happens to be what I was just doing. About an hour ago, my adapter arrived for the Canon 1D3, and wow, what a difference. Unlike the cheapo junk from E-bay, this is well made, solid and it has a decent lens built in to the adapter. This lens tube fits right in to the eyepiece tube, and I immediately saw a decent, color correct image in live view. I have some further testing to do of course, and lot's of practice, but I am on the right track now. I really appreciate everyone putting up with my questions. I feel I am getting somewhere now. Here is one of the first test images with a minimum of processing, resizing for the forum and conversion from RAW to jpg. <edit> I just did some further testing, using the trinocular port. If anything, the test images are better, crisper. I will try and catch something worth posting tomorrow, as I am really worn out, been a long day. Sounds and looks like some serious improvement. Where did you get the second adapter? Rik, the sinking feeling is gone. LOL Definitely an improvement, and the color is good. Here is the item I ordered from Microscope.net. Been up since 3am, so more shots will have to wait til morning, but it sure feels good to know I am pointed right. 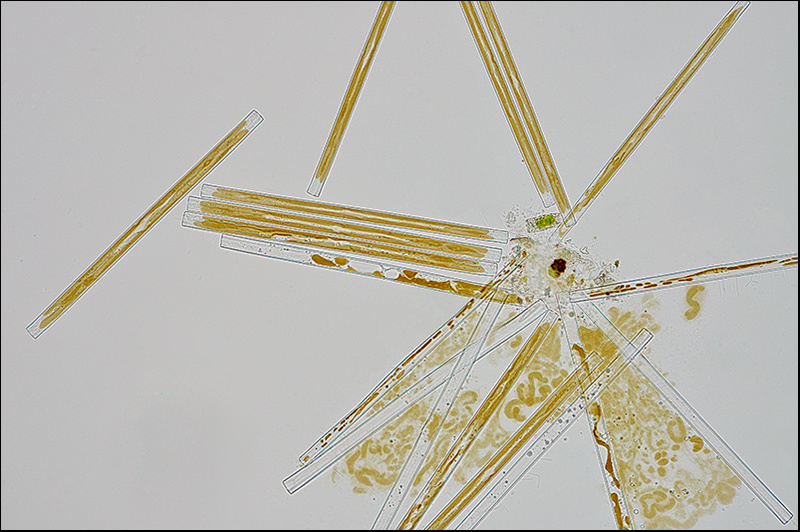 This diatom, possibly an Asterionella, was anchored to a dish by a single vertical stalk which had about 20 individual diatoms radiating out in several planes. Impossible to photograph this 3-dimensional structure. Putting it on a slide and under a cover glass reduced it to a 2-dimensional broken object and also caused some of the cells to rupture their contents. 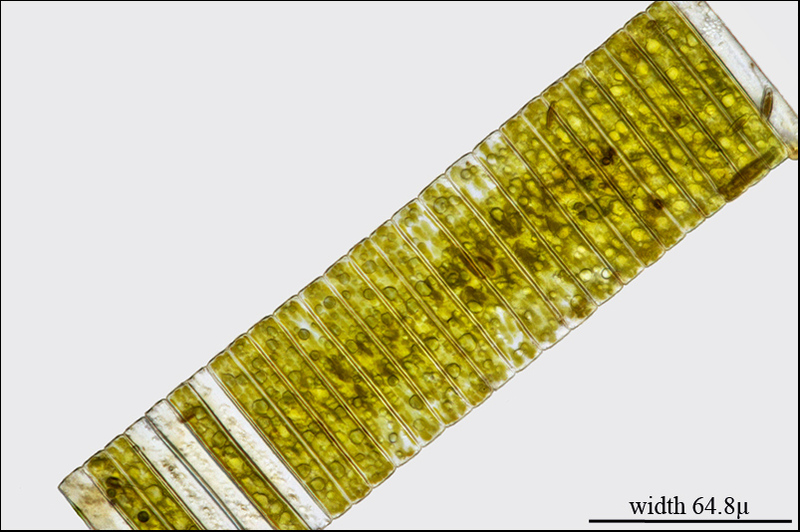 The tiny diatom in the 2nd image was glass-like and almost invisible under transmitted light; positively lit up under PC.